development programmes the community and the most vulnerable. Committed to preventing lifelong disabilities wherever possible, CCBRT is also engaged in extensive maternal and newborn healthcare (MNHC) activities including obstetric fistula repairs and is currently constructing a Maternity and Newborn Hospital. 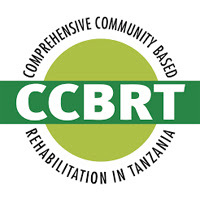 In order to further enhance the developments in the organization, CCBRT is looking for a self-driven, passionate Software developer to design, develop and implement various software solutions in CCBRT. requirement analysis to software implementation and deployment. Key deliverable is to build high-quality, innovative and fully performing software that complies with coding standards, technical design and business needs. Being familiar with various industry standard programming concepts and best practices, the developer is flexible and quick to adapt to different programming languages but is also able to troubleshot, debug and upgrade existing systems and applications.  Preferably experience with XML, Eclipse, Netbeans IDE, Linux and/or Apache Tomcat Sevlet engine.  Strong analytical skills and the ability to pay careful attention to detail.  Ability to work effectively in a team and a willingness to understand the various roles played by fellow team members.  Flexible to adapt to various programing languages and technologies.  Knowledge about the subject area in which he/she is working, or the intended audience, is valuable.  Excellent communication skills; Proficient in English, Swahili is an added advantage.  Self- motivated, flexible and ability to work with unpredictable and variable workload and tight deadlines. we are looking for experienced Vitro Retina Surgeon. supervise and coach junior doctors/ AMO’s. multidisciplinary teams of health professionals to provide excellent patient care. reporting requirements. Contribute to the establishment of a learning & research culture at CCBRT. If you are interested, please submit your curriculum vitae with 2 references, a full overview of surgical interventions performed as specialist, and a cover letter telling us why you believe you are the right person for the role, and why you want to work for CCBRT in particular. We are an equal opportunities employer and encourage people with disabilities to apply. repairs and is currently constructing a Maternity and Newborn Hospital. we are looking for an experienced Plastic & Reconstructive Surgeon able to lead this journey. patient care. Contribute to the establishment of a learning & research culture at CCBRT. participate in CCBRT patient data management system and contribute to other CCBRT reporting requirements. we are looking for experienced Ophthalmologists with different areas of subspecialisation. rounds and supervise and coach junior doctors/ AMO’s.